Culturally mature perspective confronts us with a realization that has striking implications not just for how we think about who we are. : The Modern Age picture of individuality—in which we have taken appropriate pride—reflects an ultimately incomplete picture. Creative Systems Theory calls this misconception the modern Myth of the Individual. The changing face of relationship helps us appreciate what has been missing in the old picture and the implications of its absence. In other posts I describe how both love and leadership today require that we relate in more complete, more Whole-Person ways. Whole-Person relationship requires that we reincorporate projections. Because of this, its also requires us to revisit how we think about human identity. Being an individual must now involve more fully recognizing and holding the whole of our human complexity. The Myth of the Individual has three parts. First is the Modern Age assumption that we have, in fact, been individuals. We have thought of both romantic love and modern leadership as expressions of individual choice—indeed, how we have thought of a new freedom for the individual as what, in each instance, made them new and different. A world in which love’s determinations were made by family or a matchmaker, along with more authoritarian forms of leadership, gave way to experiencing—indeed, celebrating—choice as being increasingly ours to make. But with both love and leadership, this apparent realization of the individual was illusionary, or at least partial and preliminary. In each case, what we saw was two-halves-make-a-whole relationship. Being half of a systemic whole is not yet about being an individual, certainly not in any complete sense. The second part of the modern Myth of the Individual is the assumption that individuality as we have thought of it represents—again—an end point and ideal. Because such “individuality”—the kind we saw with romantic love and heroic leadership—leaves us short of the kind of relating we need for the future, it can’t be either an end point or an ideal. 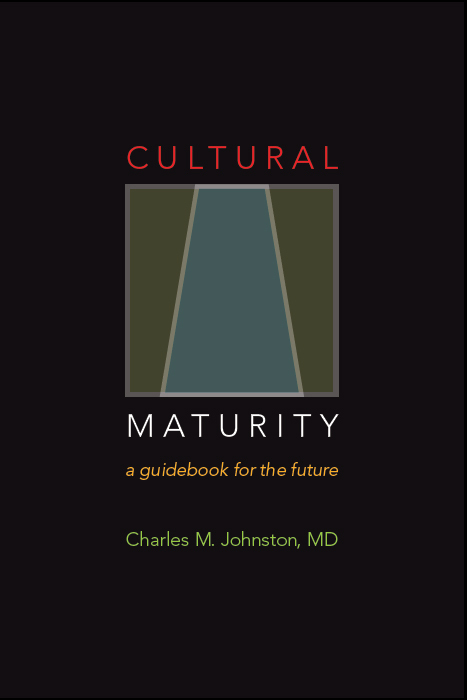 Being an individual takes on a fundamentally different meaning with Cultural Maturity’s changes. Individual identity becomes about more consciously holding the whole of our human complexity. The third part of the modern Myth of the Individual concerns an additional apparent contradiction that brings particular emphasis to the fundamental newness of what we see with relationship’s changes. It would be reasonable to assume that individuality, when fully achieved, would finally make us wholly distinct from one another. 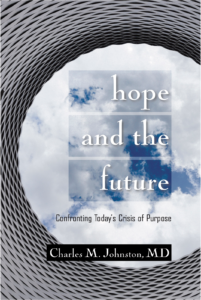 But while culturally mature love and leadership each involve the ability to stand more fully separate, more consciously engaging the whole of our multifaceted complexity also alters identity by deepening our capacity for connectedness. Whole-Person love offers the possibility of more complete and enduring love. Whole-Person/Whole-System leadership in a similar way offers deeper and more authentic engagement between leaders and those the leader represents. This deeper connectedness is in part a product of the simple fact that we now bring the whole of ourselves to the task of relating—and are thus capable of engaging in fuller ways. But there is also a related further factor that follows from just what the whole of ourselves includes that we will examine more closely with later more theoretical reflections. Cultural Maturity make it possible for us to draw more consciously on parts of ourselves that appreciate that to live is to be connected—and not just to particular individuals, but also in community, with nature, and with existence more generally. To fully understand this third step, we need to recognize how, along with this deepened capacity for connectedness, it also increases our experience of difference—but now authentic difference, not just separateness. When we engage ourselves in more complete ways, we more deeply engage all that makes us uniquely who we are. We encountered a good example of this dual result with where a culturally mature transcendence of bigotry asks of us. In the end, it involves not just better recognizing our commonality, but also becoming more cognizant of ways we may authentically differ. This result pertains to relationships between systems of all sorts—between individuals as systems, certainly, but also between social systems large and small. This third part of the Myth of the Individual—both its greater connectedness and greater authentic difference aspects—follows naturally from Cultural Maturity’s cognitive reordering. Since the Myth of the Individual can seem startling on first encounter, I will quickly summarize it and its implications: In times past, we’ve imagined ourselves to be distinct while more accurately we were identifying with one half of a larger systemic whole. In this sense, we were in fact not really separate. Whole-Person identity allows us to stand truly separate—for the first time. At once, Whole-Person identity helps us more fully appreciate the whole of who we are. One result is a potential depth of relationship that we have not before known. Another is a new depth of connectedness to ourselves and a fuller appreciation for what makes who we are particular. The Myth of the Individual has pertinence not just to how we think about relationships and individual identity, but also to how we conceive of human institutions—of all sorts. Common assumptions about government as we know it make a good point of reference. We tend to think of modern representative government as a culminating ideal. Part of the argument for this conclusion is that modern institutional democracy is “government by the people.” By this we mean government as an expression of individual choice. But while Modern Age democracy does involve greater choice than the governmental forms of any earlier cultural stage, if what I’ve described is accurate, democracy in the sense of whole people taking full responsibility for their choices is something we have not yet witnessed. This would require a further step in our evolution as choice-making beings. We have not yet seen “government by the people” in the mature systemic sense that the concept of Cultural Maturity proposes is now becoming necessary. But if what I have described is accurate, such a next step is fully possible—and is beginning to happen.